The Detroit Lions are heading on the road this coming week to take on the struggling Jacksonville Jaguars, in a game that has some interesting story lines behind it. The first of which has to do with the health of the Jaguars, as they are likely to be without Maurice Jones-Drew, and a bit of a banged up Blaine Gabbert. Gabbert definitely was showing signs of an injury last weekend in their loss to the Green Bay Packers, and this week they are going to need him against the Lions. For Detroit, the avoided losing a close game that they needed last week to really keep their season alive. The Lions are now 3-4 overall, and obviously winning games against teams struggling like this is huge. The Jaguars are 1-6 and have lost four games straight, so there is a good bit of concern there. Kickoff here will happen at 1:00pm EST in Jacksonville. The Lions need to get their running game going. They haven’t been able to do it to this point well enough to help out Matthew Stafford and the passing game. I think that Detroit is definitely in another must win game here, as getting back to 4-4 moving forward in one of the toughest divisions in the NFL is big. 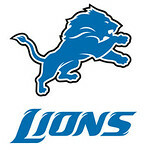 They are sitting in last place in the NFC North right now, and I’m expecting a big game from the Lions offense. The defense hasn’t done much to talk about really to this point, but Stafford will be throwing it all over the field on a struggling Jaguars defense. Jacksonville on the other side is going to need some help here. Gabbert isn’t getting much help right now from the Jaguars defense as previously mentioned, and they also lost their best offensive player in Maurice Jones-Drew. This four game losing streak is no joke, and the Jaguars aren’t showing signs of turning it around. They are underdogs on their home field, and unless they have one heck of a game plan then it’s likely that the four game losing streak could turn into a five game losing streak at the end of the day on Sunday. If you are ready to bet on this game – check out our top bookmaker! The betting odds for this NFL game are Lions -3.5 and total is 44. The Lions may not have completely dominated their game last week against the Seattle Seahawks like many people thought they would, but they still got a win against a solid team. 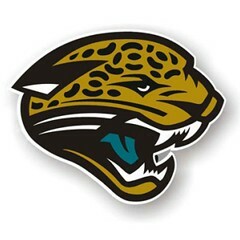 This week though they are on the road which is always tough in the NFL, but the Jaguars just have too many issues to deal with for me to feel comfortable betting on them at all. The Lions will get this win here, and I don’t think it’ll be as close as people are anticipating. Many people feel that the Lions aren’t capable of blowing anyone out right now, but I do think that they can put up a good amount of points on this Jags defense and win it by a touchdown or two. Our pick ATS is Lions -3.5 and the total pick is over 44.